Cruise Your Way to Boracay! The gateway to Boracay’s best beaches is just a cruise away! 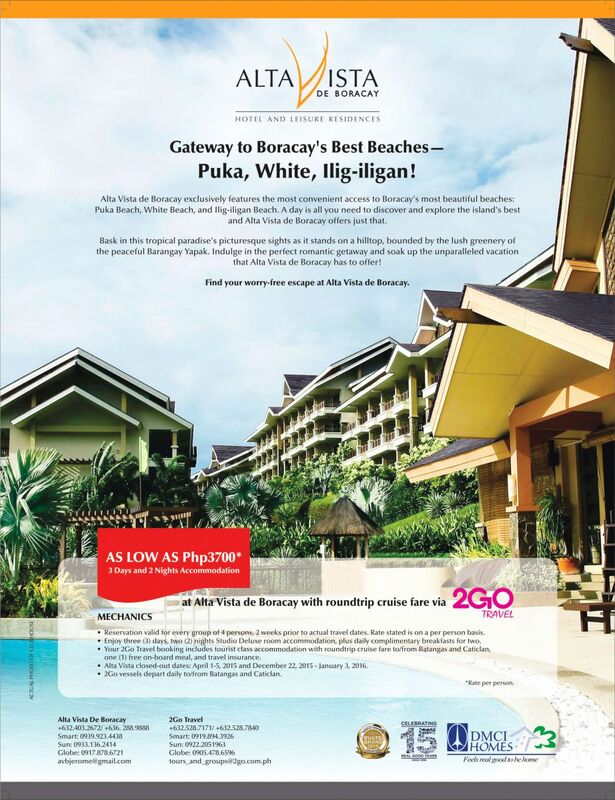 Alta Vista de Boracay and 2Go Travel team up for the best Boracay package this summer. Take your sweet time with a round trip cruise fare via 2Go Travel, on your way Alta Vista de Boracay, for a 3-days, 2-nights stay.